Ned lived a happy life growing organic vegetables on a farm with his hippie girlfriend and his dog named Willie Nelson, but an unadvised incident with marijuana at a farmer's market lands him in jail. When he gets out of jail, he is off to live with his sisters. 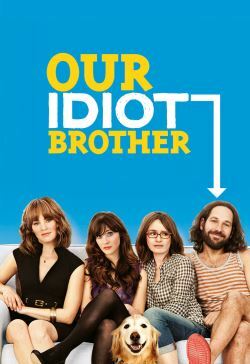 While Ned is still happy, his sisters are much less so after his honest, but unworldly manner contributes to revelations which manage to expose infidelity in one marriage, potentially illegal actions in one job opportunity, dishonesty in one budding relationship and morally unpleasant behaviour in one domestic partnership. He sees those problems as breakdowns in communication, but his sisters see him as an idiot. The truth the audience witness is that ultimately, Ned is a catalyst for good around him without consciously setting out to do so. The denouement of the film sees balance restored with a positive outcome for all in the family.